In addition to being an attorney, Karen is also a licensed Certified Public Accountant. She advises clients on matters regarding estate planning, estate and trust administration, wealth preservation, business succession planning, federal and state tax controversies and general business matters. 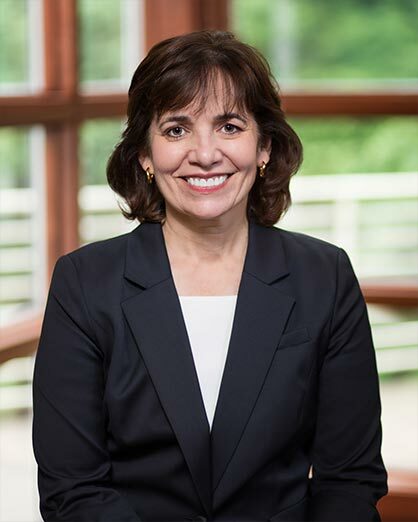 After receiving her Bachelor of Science in Accounting from the Pennsylvania State University and a Master of Business Administration from the University of Notre Dame, she worked for two Pittsburgh based Fortune 500 corporations in various auditing, business planning and customer service positions. She then obtained her law degree from the University of Pittsburgh. Since obtaining her law degree, Karen has taught the course Accounting for Lawyers at the University of Pittsburgh School of Law. She currently serves as the chair of the Probate Legislation Committee of the Pennsylvania Bar Association. Karen is admitted to practice in Pennsylvania and in the United States Tax Court.